Roz Sheldon is an industry spokesperson on all areas of online reputation management. She is responsible for new business development, overseeing all Igniyte client accounts, managing the team, and developing results-driven online reputation management strategies. She is ‘always on’ moving seamlessly between client industries and domestic and global markets across everything from large-scale audits to removals. Roz leads on reputation management research and industry best practice, whilst also managing Igniyte’s quality and processes. A PRINCE 2 practitioner, she uses her experience and expertise to successfully manage creative and complex online experiences for high-profile brands and is integral to developing client relationships, and executing expertly-timed PR, social and content solutions. 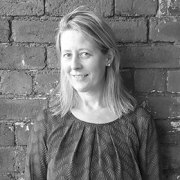 Roz joined Igniyte in 2014, bringing with her a wealth of expertise and experience in digital media after more than 19 years spent working in creative agencies in London and Leeds. Her previous clients include Unilever, GSK, BBC and Home Retail Group and she led digital projects at Logistik, Numiko and Brass agencies after studying Web Design and Development in Hackney College. She graduated from Middlesex University with a degree in Three Dimensional Design, Ceramic Arts and Ceramics in 1996. Roz Sheldon is an industry spokesperson on all areas of online reputation management. If your matter is complex, or highly confidential, please contact Roz in full confidence.